If you’re planning to purchase a portable home sauna, you may be interested in the Far Infrared Portable Sauna + Negative Ion Detox. But is it really worth buying? Here’s a look at its key features and advantages to help you decide. The Far Infrared Portable Sauna is perfect for anyone who needs an affordable sauna at home to relax after a stressful day. You can't beat it for this price! It taps the power of ultra thin and super conductive carbon fiber so you don’t have to wait long to achieve your preferred temperature. You can read a book or watch TV while using this sauna. Its cushion zipper for the arms and neck also ensures your comfort. 3. Better conditioning compared to conventional sauna. You will perspire more in less amount of time. Can tall people fit inside this portable sauna? Yes. Some people who are 6 feet tall and weighing over 200 pounds can fit in this portable sauna without any problem. The model comes in two sizes, which gives buyers the freedom to choose the right size according to their physique. 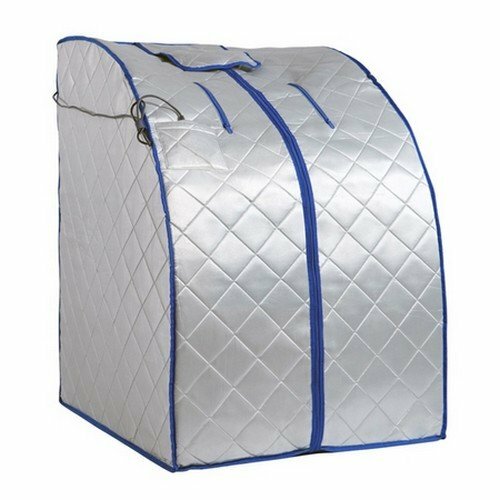 Some buyers are also able to fit their entire body inside the portable sauna. They will experience FIR heat throughout their body, which contributes to relaxation as people are also able to meditate inside it. Is dismantling necessary after every use? Dismantling is not necessary after every use. Users can keep the unit assembled without worrying about damaging it. However, users must make sure to store it indoors to avoid damaging the heating system due to humidity. Does it come with a portable chair? Yes, it does. But buyers may want to get a different chair because the one included in the package may be too narrow depending on the user’s physique. Do both sides come with heating panels? Both sides have heating panels, which allow people to get heating throughout the body. This also helps in maintaining heat circulating within the unit. Can it be stored conveniently? It can be stored conveniently as it folds flat. However, this model can’t be folded any further because it will bend the heating panels. It means it can store as a flat unit in a shelf in a house, but it won’t fold to fit inside a small traveling bag. Yes, EMF is safe for users. You don’t have to worry about any perceived dangers brought by infrared heating. Can you set it up on different floor types? Yes, this model can be set up in different floor types. It won’t damage carpeted floor and won’t cause problems since it doesn’t have moisture that may drop on the floor. It can also be set on wood or concrete decks. This means users with different floor types can use the unit without issues. Users are advised to take care of not getting the power cord wet when placed on the deck to avoid risk of electrocution. Can it be used with ozone? A lot of people are able to use this model with their ozone. 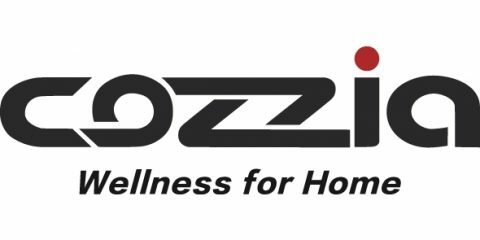 But to make sure, buyers must take note to ask the manufacturer first or contact an expert in using ozone with an infrared sauna to avoid any issue. This mode’s heating unit is energy efficient. Consumers who used the unit for 20 minutes several times a week don’t notice energy spikes or increased electric bills. Far Infrared Portable Sauna + Negative Ion Detox is highly recommended for people who want to lose weight through sweating. Sauna has been one of the most commonly ways to shed weight and experts like Dr. Julian Whitaker have long been advocating its use due to its numerous health benefits, including weight loss. People suffering from chronic pain will also benefit from buying the Far Infrared Portable Sauna. Treating or getting relief from chronic pain will benefit from regular use of infrared sauna. Having this portable unit gives users easy access to pain relief that works. Those who are experiencing chronic fatigue will benefit from this sauna’s ability to improve blood circulation. Proper blood circulation aids in boosting energy that people need daily for work or other activities. Detoxing is also another reason why buyers should get this product. It lets users perspire properly, which flush out toxins that assure improved health. Warranty information about this product is not directly indicated on sellers’ websites. Buyers are recommended to visit the brand’s website or call them directly for warranty coverage. Far Infrared Portable Sauna + Negative Ion Detox is one of the best-selling portable saunas online. Many of those who have purchased this product are very happy with it. Based on its features and customer reviews, we rate this product 4.3 out of 5 stars. Overall, the Far Infrared Portable Sauna + Negative Ion Detox is a good buy and we would recommend it to those looking for a reliable portable sauna. You can choose from two sizes and there are also different timer settings and other features. You’ll appreciate the ease of setup and using it is also not hard to figure out even if this is your first time to own a sauna. If you want to achieve the benefits of sauna therapy, this one is an excellent option. Additionally, the affordable price tag makes it really a top seller. You may find many top saunas with impressive features but they often come with a high price tag. On the other hand, with the Far Infrared Portable Sauna you not only get most of the benefits offered by a large sauna but you also don’t have to spend a large sum of money for it.